It's not everyday a 13-year-old gets to have her own book under ABS-CBN Publishing and has an Instagram feed to die for. 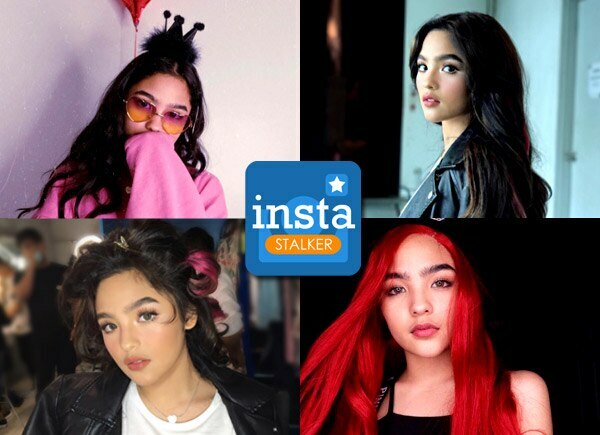 Andrea Brillantes shows that you don't have to be a supermodel or beauty queen to turn your photos into cute and quirky portraits that 1.9 million following (and counting) love seeing. Thank you so much for the 1.9M followers and 200k subscribers on YouTube!!???????? mahal na mahal ko kayo!!???? Thank you sa lahat ng mga nanood ng Mmk #MMKFreedomBehindBars , salamat sa mga tweets, sa supporta #MMK25 thank you sa Mmk production for giving me the chance to play Gwen ?? Loving my Hair Extensions from @lynellehair thanks tita @jen_sevilla ?? Sunnies from @georginasasha photo by @janinamanipol ? ?